An X visa is issued for students applying for Degree course in China for more than six months. The student must have an admission form that is issued by the College/university, a stamped JW202 form that is also called Visa Invitation Letter document from the Public Security Bureau with the stamp of the Ministry of Foreign Affairs. Letter of acceptance of the request of the institute/university Original and photocopies. certificate of the course/diploma previously passed Original and photocopy. Certificate of the Chinese proficiency test for students who intend to study in the Chinese language. You do not have to make an appointment. After submitting the documents for processing visa applications, the visa officer may call you for an interview. The student visa assessment levels are determined by the passport you hold and the visa subclass you are applying for. When you have the opportunity to get a place in Chinese universities, you should go to the Chinese local embassy and apply for a visa depending on the length of your stay. Who intends to study in China must apply for a student visa. 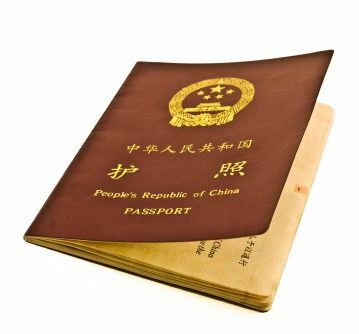 Foreign students studying in China must have a regular passport and an X1 visa (more than 180 days during the study period), or an X2 visa (not to exceed 180 days during the study period). Applicants must apply for a Chinese visa at the nearest Chinese embassy or consulate. Note: If you plan to study in China, only the following Two types of visas are right for you. In addition to the above documents, other documents may be to decide whether issuing a visa on a case-by-case basis will require a visa officer. X2 visas are issued to those who plan to study in China for a period not exceeding 180 days.